With XPlay there are no programs to launch and nothing new to learn. Simply plug in your iPod and it will appear like any other drive on your system. To access items on your iPod, double-click the iPod and open the XPlay music folder.Inside the XPlay music folder your songs are arranged just as they are on the screen of the iPod. You can browse your music by Playlist, Albums, Artists, Genres, Composers and all Songs. XPlay makes it possible to not only add music to your iPod but copy music back off the iPod. To add music to the iPod simply drag-and-drop songs from your PC to the XPlay Music folder. If you want to copy your music back off the iPod, go to the Songs folder inside the XPlay music folder and select the items you want to copy back to your computer. 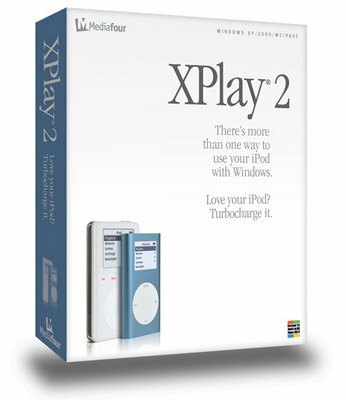 If all that wasn’t enough, XPlay gives you the power to automatically synchronize your iPod with your music collection. Go ahead – try it today!